Born to a Norwegian mother and a Swedish father, Haglund became known as the King of Seattle’s waterfront. From his early years as a Depression-era aquarium showman and folk singer, to opening the legendary Acres of Clams restaurant that remains on the Seattle waterfront to this day, Haglund's unique knack for publicity stunts and business promotion made him a household name throughout Puget Sound. His pronouncements, pranks, and highly successful restaurants have become part of Seattle's unique character as a city for over 75 years. Today, the region remains teeming with the Ivar Haglund franchise and its eponymous seafood dining experience. 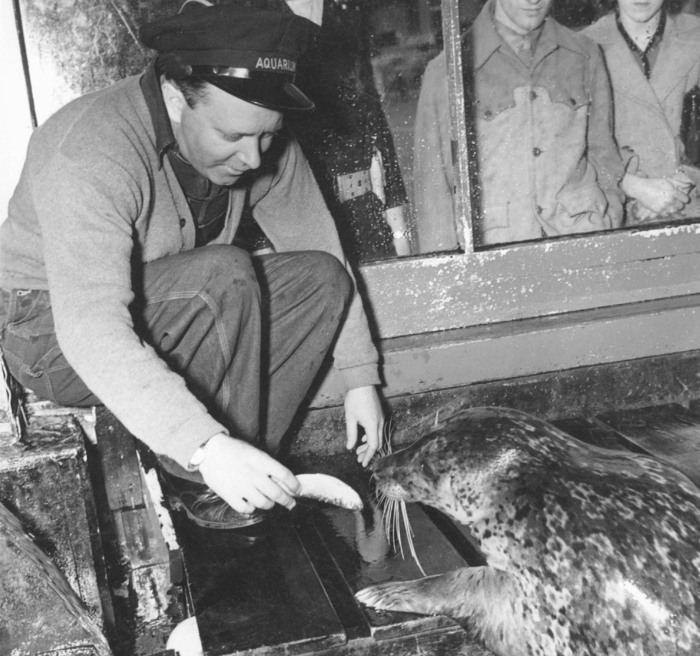 Ivar Haglund feeds Patsy the Seal at his waterfront aquarium in Seattle. 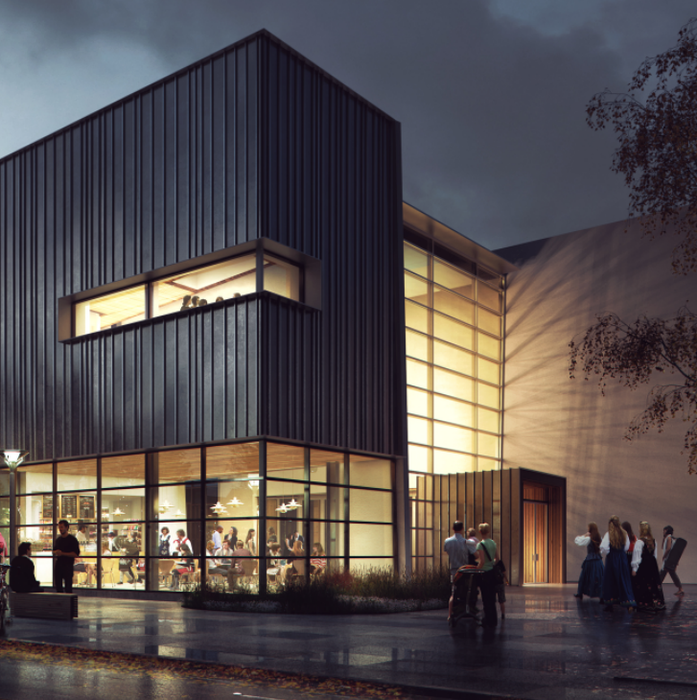 This exhibition will highlight the fascinating life of the seafood magnate Ivar Haglund, emphasizing his Scandinavian heritage, musical talents, ventures into radio and television, and successes in business innovation and entrepreneurship. Included will be a wealth of personal artifacts and memorabilia. 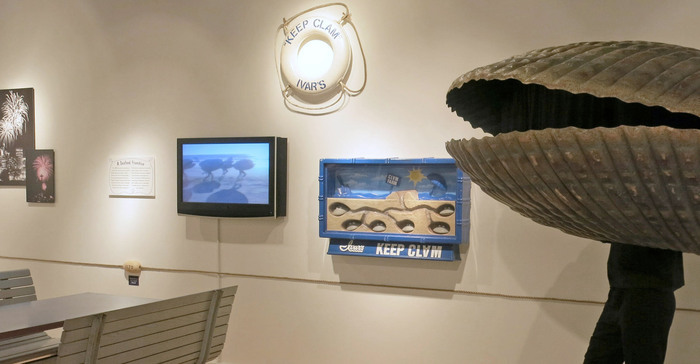 Visitors will experience the fascinating life of this Seattle original through photographs, sound recordings, advertising campaigns, television commercials and programs, personal ephemera, and much more. "No longer the slave of ambition I laugh at the world and its shams As I think of my happy condition Surrounded by acres of clams."